As described in the WordPress codex “Blog” is an abbreviated version of “weblog,” which is a term used to describe websites that maintain an ongoing chronicle of information. Examples of Enfold demos showcasing the blog posts elements. By default, WordPress will display your “Posts” for others to view on the home page of your site. When using it as a Content Management system (CMS) you may want to change where you want the posts to be shown, and what page is shown for the Frontpage. You can set both of these right from the main Theme Options. To display blog posts on the Frontpage or on a separate blog page, create a new page and drop the blog posts element from the Advanced Layout Builder. Go to “Theme Options” and use the drop-down and select the previously created page with the blog posts element as the frontpage or a blog page to suit your website requirements. 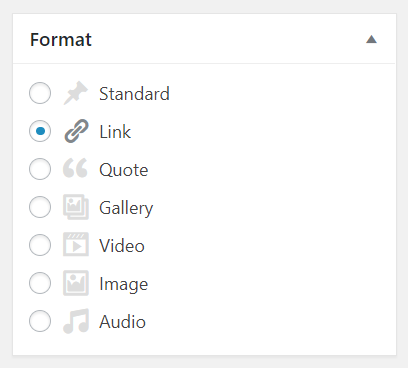 To set up a Blog style drag and drop the Blog Post element from Advanced Layout Builder and select the blog style in the edit options. Now when viewing the *portfolio* custom post type (which comes with the theme) there will be no floating navigation to the next or previous portfolio items. All posts added to a specific category can be styled to look different from other posts using custom CSS code. A unique CSS class name in the format “category-xyz” is added to all of the post articles. To view the category class name right click and inspect the post article. We can use this unique class name to style the blog articles. The “category-xyz” class consists of post content like title, featured image, description etc. hence we can only style the content of the post article but not other page content like the header, footer or sidebar area. For example, post titles of category-1 can be styled differently compared to post titles of category-2. Let us look at the custom CSS to style post titles of two different categories named “personal” and “news”. Featured image size: On a single post, to reduce the size of the featured image adjust the value in the code below and add it to your custom CSS. Full-width featured image: On any single post, remove the paddings and stretch the image to 100% width of the browser. It is recommended to use this code to change the single posts without sidebar. To hide the featured image on selected posts, check the option “Don’t display image on single post” under the featured image for each post. Adding the below code to functions.php will remove featured image on all posts. The featured image will only be displayed on the blog index page. To make a single post page full-width add the below CSS to your custom styles. To open an external link or a page on the same site when a post title is clicked. Select the post format as Link and add your text and link in the post. In case you do not see the post format options, you have to enable it from the screen option. Enfold allows you to set your blog page from the theme settings and to choose a default layout from the theme’s General Settings. You may however, want to have a unique layout for your blog page than the rest of the automatically generated pages. 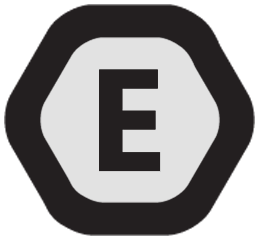 Go to Enfold > Theme Options > Blog Layout and change the “Blog Style” drop-down option to “Use the advanced layout editor to build your own blog layout (simply edit the page you have chosen in Enfold->Theme Options as a blog page)”. Then save the settings and Enfold will use your page as the blog page. Posts from a specific category, tags or a custom taxonomy can be easily displayed using the blog element. In the blog element settings, select “Display entries from a custom taxonomy” then select which entries you would like to display, as shown in the picture below. The below CSS will remove the sidebar and make the content fit the width of the category page. Change the default layout of category and tag pages by using the “avf_blog_style filter”. Available layouts are single-small, single-big, blog-grid and multi-big. To align the post titles left, center or right on the blog archive page add the CSS below to your custom CSS file. Hide the timeline from Multi-Author and Single-Author blog style. All posts in a masonry grid added to a specific category can be styled to look different from other posts using custom CSS code. 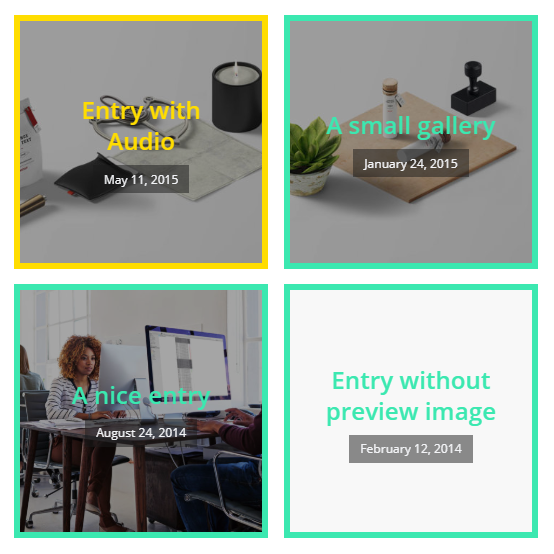 Example of using category to style masonry blog grid. A unique CSS class name in the format “category-xyz” is added to all the post. To view the category class name right click and inspect the post article. We can use this unique class name to style the posts in the blog grid. Let us look at the custom CSS to style posts in a specific category to look different. NOTE: The same technique can be used to style the masonry blog grid using the CSS class names for tags. P.S. : If you are using WordPress in another language, replace “Blog – Latest News” in the code above to your own language. To align the post excerpt left, center or right on the blog archive page add the CSS below to your custom CSS file. Remove slash separator “/” between comments and time in blog grid meta. Let’s look at 3 different methods to display the author info on the post page. Theme options: To display the author image (with a link to the author page) beside the feature image of the post. 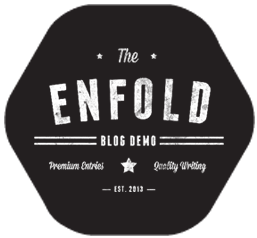 Go to Enfold > Blog Layout > Single post Option > Single post style > Multi Author Blog. Plugins: There are many author bio plugins available with advanced options and social media integration. Some of them you can try are listed below. We have had several requests to move the meta info with the date under the post title so here it is. In case you are trying to add the excerpt text and cannot find the option to enter the blog excerpt text. Check if the “Excerpt” option is selected in the “Screen options” on the top right of the page. Once you select the “Excerpt” option, you should be able to view the option to enter the excerpt text. Some users asked us how they can set a different order for their blog/post slider/portfolio/masonry grid elements. The filter solution here: https://www.kriesi.at/documentation/enfold/change-the-sort-order-of-portfolio-elements/ is not flexible because it affects all elements and all custom queries. Since Enfold 2.7.1 it’s possible to add some custom order/orderby options to the blog/post slider/portfolio/masonry grid settings which enable you to change the sort order for each element independently. Insert the code below into the child theme functions.php file and save the file. Then go to the blog/post slider/portfolio/masonry grid element settings screen, scroll to the bottom of the options window and configure the order/orderby settings. Then save the template and page and the posts should be displayed based on the new sort order. Attention – if you use the “Random” sort option, do not use it in combination with the “pagination” setting. Otherwise, you risk that the user just sees the same posts over and over again because WordPress doesn’t know which posts were used on the other pages. Importing demos is the easiest way to get started with your new site. However sometimes depending on the website and server settings it may require some small steps to set everything up like the demo. Go to Settings > Reading and check if a static homepage is set as Frontpage – if yes please deselect the static page option. If you haven’t created a menu and assigned it to display as your main menu then all the pages your site will be listed, please try creating your own menu and assign it in Appearance > menu. The dummy content won’t reproduce the demo pages exactly because of license reasons with images, etc. Lastly because of the importer script limitations – i.e. dynamic templates aren’t supported by the dummy content importer. Using Advanced Layout Builder to create a blog post will remove the default elements like post meta info, featured image, title, etc. You need to add the required elements manually from the advanced layout builder. If you are using the WordPress default editor and do not see comments. Open the “Screen options” on the top right corner, and select “Discussion” and then scroll below ALB and enable discussion on your page. Comments do not work on any page/post that uses Advanced Layout Builder. 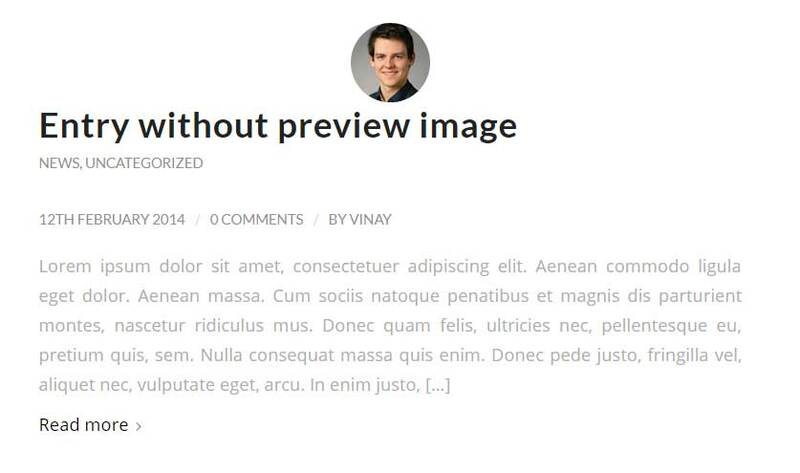 For page/post with ALB you can add the comment element from the Layout Builder.